Extra wide handle grips provide more surface area to stabilize your load and works perfectly for a 2-hand or 2-person job. RATED FOR 200 LBS ON STAIRS! Constructed from aluminum and backed by patented engineering, the UpCart Lift is tested to reduce effort on stairs while carrying up to 200 lbs! Save your back and easily get your big jobs done. The UpCart Lift is your all-purpose workhouse - it's perfect for outdoor projects, moving furniture, camping trips, and so much more! Have a big job? The UpCart Lift can handle it. Watch the Lift move a bath tub, music equipment, heavy boxes, and much more! 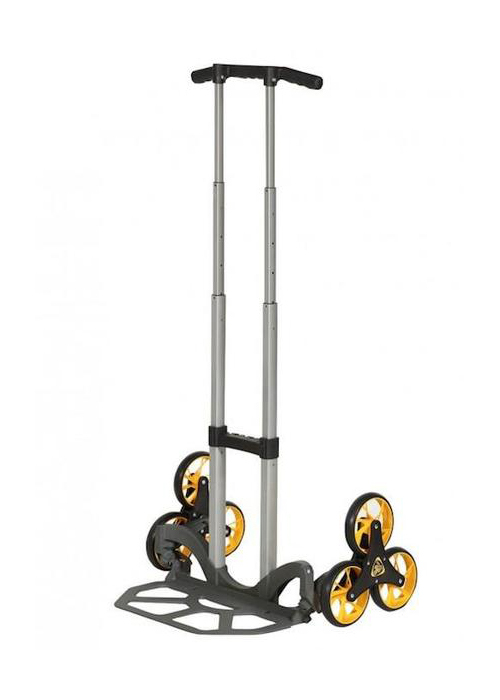 The UpCart Lift is a revolutionary stair climbing, folding hand truck ranked #1 according to Stair Climbing Dolly Reviews! 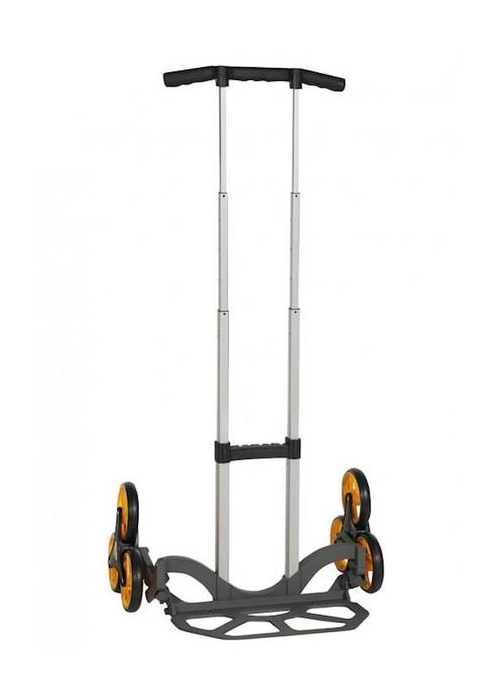 Easily transport your stuff with the hand truck that's up for anything! Designed to climb stairs and obstacles, yet still folds flat with its spring loaded assist. Built to last from strong metal components that hold up to the rigors of modern life. Unique modular chassis shapes itself to the unique challenges of moving in different environments. UpCart is easy to use with no setup required! Push down on the platform and the wheels will automatically unfold. Apply firm pressure to the Safety Release Button and lower handle until you hear it click into place. 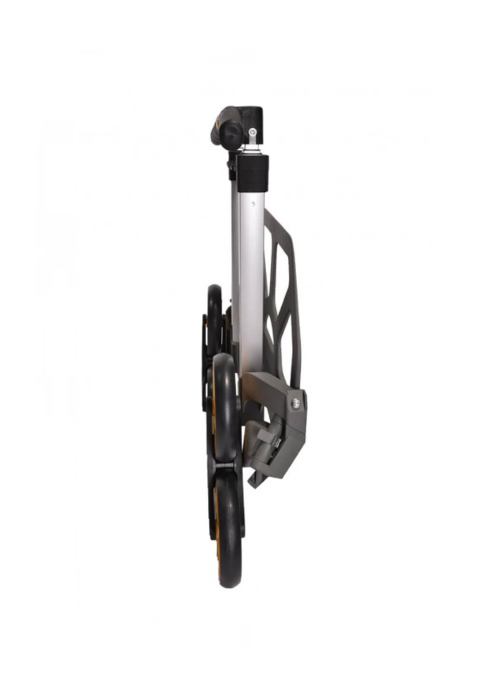 Fold the platform securely to the frame, wheels will automatically fold. The award winning, stair climbing UpCart has been a hit since the very beginning. UPCART IS AN INSTANT HIT! Debuting in 2015 on the QVC Sprouts segment, the UpCart sold out in less than 5 minutes and waitlisted over 1000 orders! UPCART IS THE BELLE OF THE BALL! In its first ever appearance at the National Hardware Show, UpCart won the coveted ‘Most Innovative New Concept’ award. 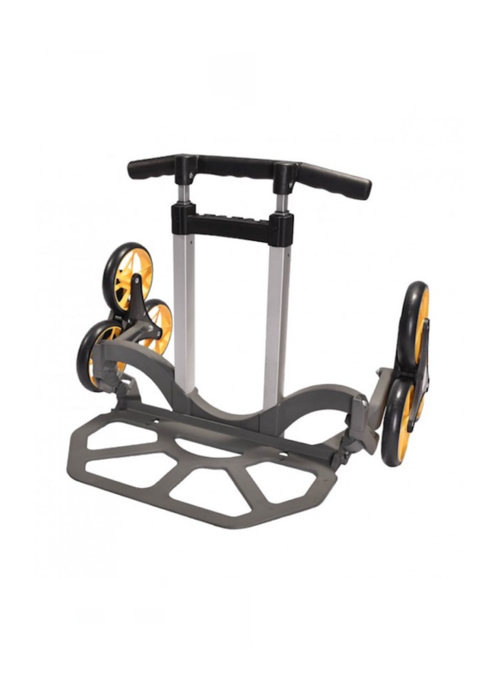 Go anywhere with UpCart's lightweight, three-wheel technology! Weighing less than 12 lbs and folding to 4.8 inches, the UpCart Lift is easily transportable in the trunk of a car and functions on a variety of terrains and surfaces. The UpCart Lift’s sturdy wheels are weather proof and great for indoor AND outdoor use, capable of “walking” over curbs, stairs and irregular terrain with ease! When moving items up and down stairs, the adjustable 4 position handle reduces the strain on your back and angles the load to prevent injuries!